James L. Elhart, 82, of Vicksburg, Michigan, passed to his heavenly home on Tuesday, September 12, 2017. His parents were Gilbert and Ruth Elhart of Holland, Michigan. James’ leaves his loving wife, Judy; his son, Ellory (Laura) Elhart, Mike (Terri) Roller, Kim (Jahn) de Blecourt, John (Shiree) Seeds, and Tom (Julie) Seeds. He leaves eleven cherished grandchildren: Steven (Jessica) Elhart, Jacey, Jake, Tad, Marin, Kassondra, Amber, Meaghan, T.J., and Lindsie; and one adorable great grandson, Thomas; many nieces and nephews. James was proceeded in death by his brothers, Raymon and Melvin Elhart. James loved his grandchildren and supported them by attending their many school functions and taking them places, such as the Kalamazoo Air Zoo, Binder Park Zoo, and the Kalamazoo Nature Center. He was so proud of each and every one of them. The holidays were a wonderful time for family togetherness. James is remembered for his engaging smile, friendliness to all, and his many, many stories. His grandchildren remember the smells of his spaghetti sauce and vegetable soup filling the kitchen, stealing one of the many pens he always had in his shirt pocket, and listening to Peter and the Wolf together. James was an elementary school teacher and loved to teach his students history through stories. He would umpire the ball games at noon recess and always race with them back to class. His students often remembered him when they bumped into each other while shopping or at car shows, making themselves known to him with smiles, hugs, and stories of their own. James also ran a carpet cleaning service during the summers. He retired from teaching after 30 years of service. After retirement, James became an author of “Automobiles and America’s Dream Builders.” He loved to travel to auto museums and car shows. He photographed a number of classic automobiles. James will be greatly missed as a loving husband, father and grandfather. Military Funeral Honors will be held on Friday at 11 AM at Fort Custer National Cemetery, 15501 Dickman Road, Augusta, Michigan, 49012 (meet at the assembly area at the front of Ft. Custer at 10:45 AM). Family and friends are invited to the Elhart home immediately following the ceremony. In lieu of flowers, donations may be made to Hospice Care of Southwest Michigan. 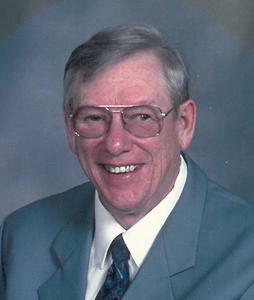 Visit Jim’s personal web page at www.BetzlerFuneralHome.com, where you can archive a favorite memory or photo of him and sign his online guestbook. Arrangements by Betzler Life Story Funeral Homes, 6080 Stadium Drive; Kalamazoo (269) 375-2900.